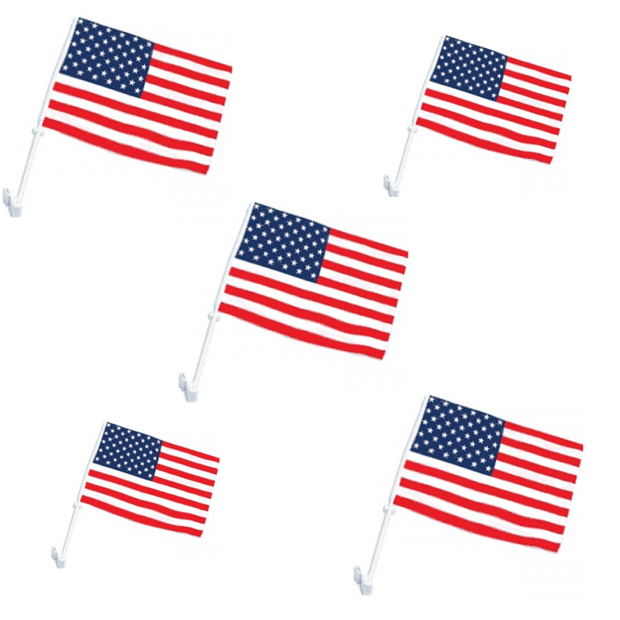 USA Car Flag Only $3.99 Plus FREE Shipping! You are here: Home / Great Deals / USA Car Flag Only $3.99 Plus FREE Shipping! Drive around with your patriotic colors flying this Summer! The USA Car Flag is Only $3.99 Plus FREE Shipping! The polyester flag measures 15″ x 12″ and made with two rows of stitching to enhance sturdiness and comes with a metal staff for easy displaying inside and out!